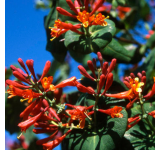 There are about 20 honeysuckles that are native to the US, with most of them being found mainly in the Eastern portion of the country. Honeysuckle is a hardy plant that is a twining vine or can be trained into an arching shrub. Honeysuckle is named for the edible sweet nectar that is found in its tubular flowers. 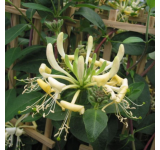 It is also known as Lonicera and that name is derived from a Renaissance botanist named Adam Lonicer. The twinning vines are climbers and are perfect for arbors, pergolas, or walls. This type of honeysuckle often has bi-colored flowers and will start blooming in early summer and flower continuously into the fall. The vine can grow up to 20 feet. 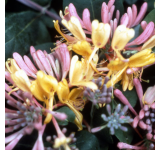 The honeysuckle shrub is a bush that grows 6 to 15 feet tall and wide and makes a good hedge or screen. These will bloom in March and April. 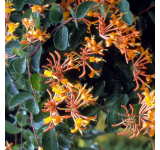 Climbing honeysuckles do best when planted in full sun and in moist, well-drained soil. It will flower more profusely when planted in the sun but it can tolerate quite a bit of shade although it won’t flower as prolifically. Spring or fall is the best time to plant honeysuckle and if planting more than one vine, plant them 5 to 15 feet apart. 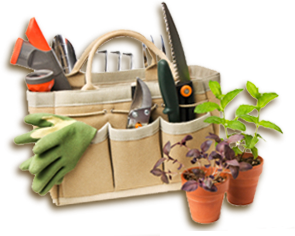 Dig a hole as deep as the root ball and 2 to 3 times as wide. 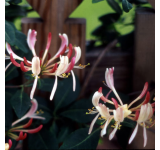 Honeysuckle tolerates a wide range of soil types but once the plant is in the ground, water it thoroughly and add a general purpose fertilizer. Climbing honeysuckles are self-clinging but when they are young they will need some support. They need something to wrap around such as a pole, post, or wire. They can also grow down a bank or rock wall. 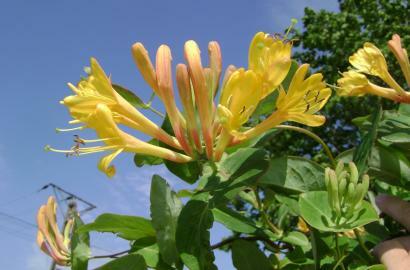 There are some honeysuckles that are suitable for containers but they will still require a trellis unless you grow the plant in a hanging basket. There is a non-native honeysuckle vine, Japanese honeysuckle (Lonicera japionica) that is considered an invasive plant. It was introduced to the US in the early 1800s as a ground cover. It was very attractive to birds who ate the berries and released the seed allowing it to spread. 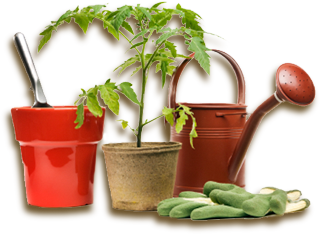 In northern climates, it is kept in check by the cold weather, but in warmer climates, it continues to be a problem. It is best to avoid this variety. Another reason to grow honeysuckle is that it is great for pollinators including bees, butterflies, and hummingbirds. In North America, hummingbirds are attracted to the long, tubular flowers. They are attracted more to the color of the flower than to its scent. The scent of this plant, however, attracts bees during the day and hummingbird moths in the evening. 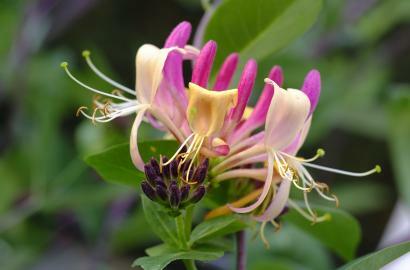 Honeysuckles are easy to grow and can make a great addition to your garden. Why not give them a try!